Whistler. It’s just fun to say, and an even better place to test a bike on rugged mountain trails. When you’re done riding brand new bikes, go grab a beer with your friends and relax in beautiful B.C. 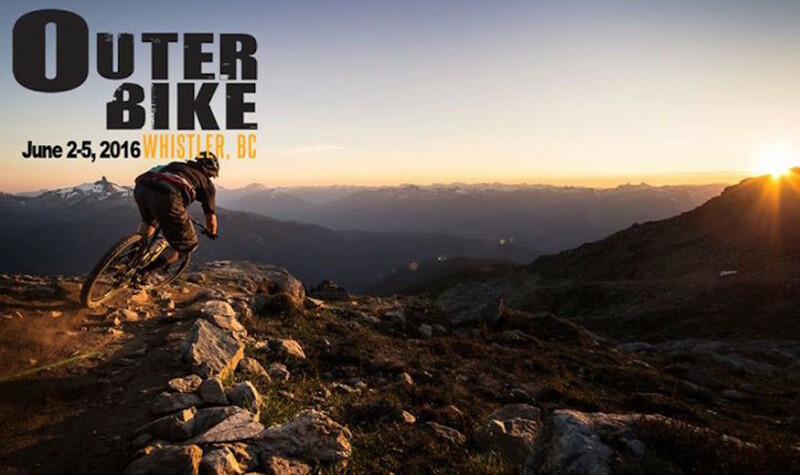 Welcome to Outerbike Whistler! The best bike demo event in the Universe. For four days, the world’s leading bike and gear manufacturers will be set up at the spectacular Outerbike Whistler expo site at Whistler Village. Test ride all the latest and greatest new bikes and gear in the beautiful fresh air. Repeat as needed. Access to Whistler bike park, the most fabulous lift-accessed downhill mountain bike park in the universe, as well as guided trail rides, lunches, parties and beer all included in the price of admission. Attendance is capped, so make sure to sign up early!